Harry Belafonte didn't start out with a dream of being a singer. He wanted to be an actor, and studied theater for five years in New York. Unable to find work as an actor, he had to choose between abandoning dreams of being a performer entirely, or find a new area of entertainment to pursue. Opportunity struck when he was offered a chance to be an intermission singer at a local jazz club, and his singing talent began to catch on. 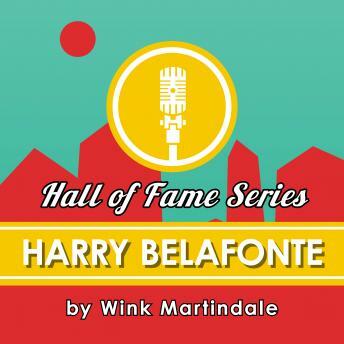 In a conversation with host Wink Martindale, Belafonte discusses his journey to showbiz success as the "King of Calypso." He also candidly speaks on his early life, his involvement in the Civil Rights Movement and his passion for performing.